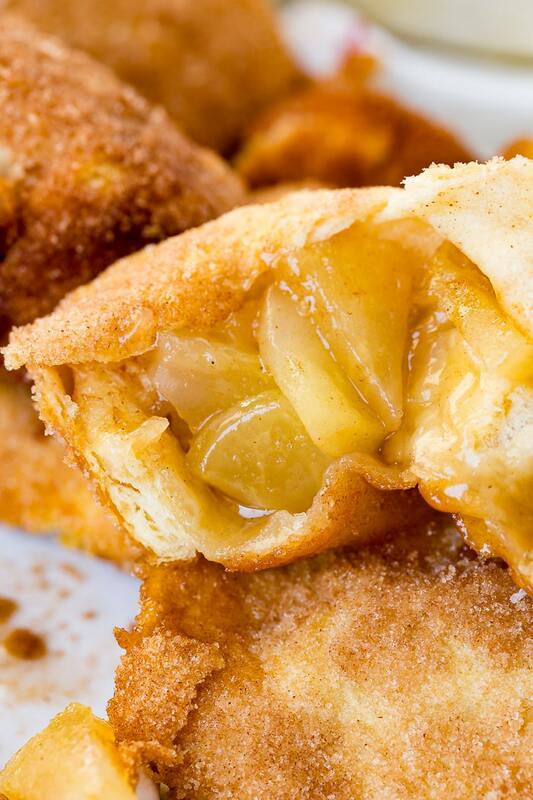 A soft, buttery, flaky roll stuffed full of chopped up apples in an incredible caramel sauce. But what’s the secret to Apple Empty Tomb Rolls? If you’ve been following us for a while now you know that there’s a recipe that almost broke our site, do you know which one it is? There are a few recipes that continue to bring in millions of views, but we can chat about those later if you’d like. But Empty Tomb Rolls is the one I’m talking about right now. And it’s what inspired this version or Apple Empty Tomb Rolls which I think blows the original out of the water. 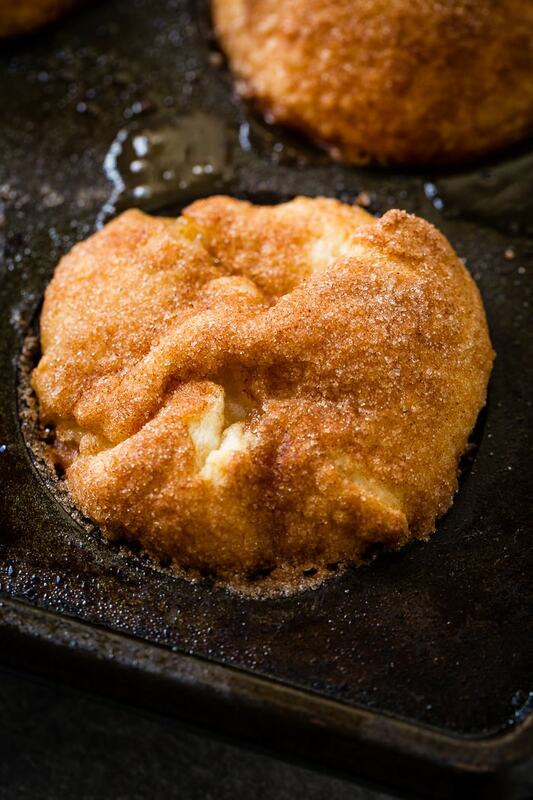 Our original recipe calls for roll dough, butter, cinnamon sugar and marshmallows. You’ve got to go check out the recipe and watch the video. It’s a really delicious one. All summer the idea kept coming to my mind that it would be really delicious if I could make a new version. That’s kind of hard though because there’s literally nothing to the recipe, but the idea came to my mind so many times I knew it was inspiration. I kept pondering and pondering over what new idea could be used when I asked a question on Instagram about fall and what flavor you all prefer, apple or pumpkin. On one post it was overwhelmingly APPLE and on another, PUMPKIN! Seriously? How does that help me know what to make?! LOL, it was awesome. And then it hit me, Apple Empty Tomb Rolls. 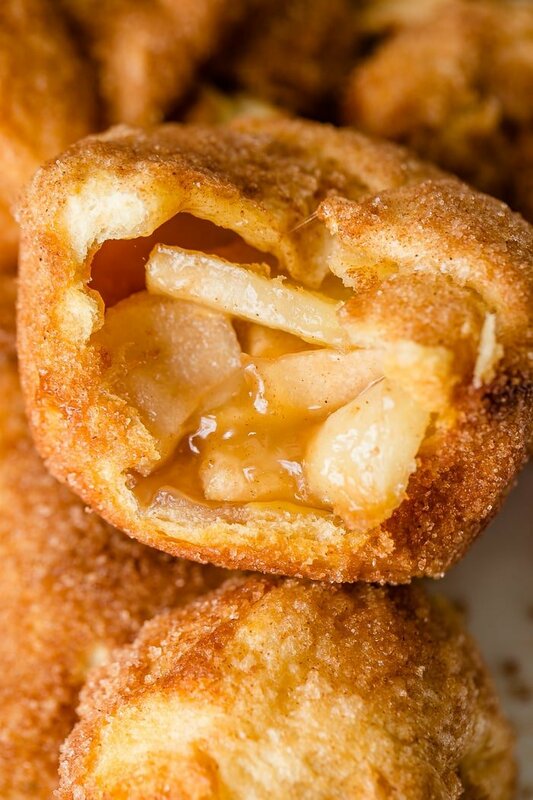 They are even kind of like our Apple Pie Bombs, but no frying needed! You see, Empty Tomb Rolls, or as some people call them, Resurrection Rolls (there’s a whole story that you tell your kids as you make them, it’s pretty cute) end up with a caramel-y sauce inside of the roll and it’s so good! 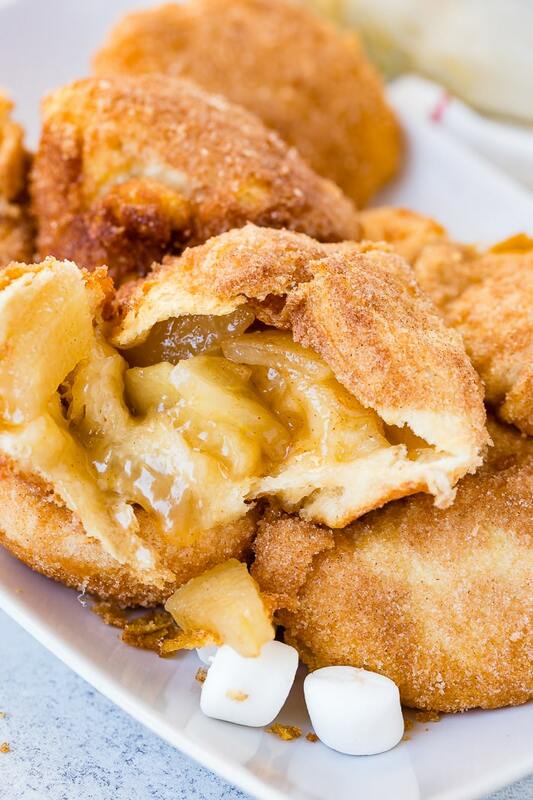 What goes better with apples than caramel?! Do you know the secret to apple empty tomb rolls? Let’s dive in to the recipe. Actually, hold on a second! Do you know what would be really good? 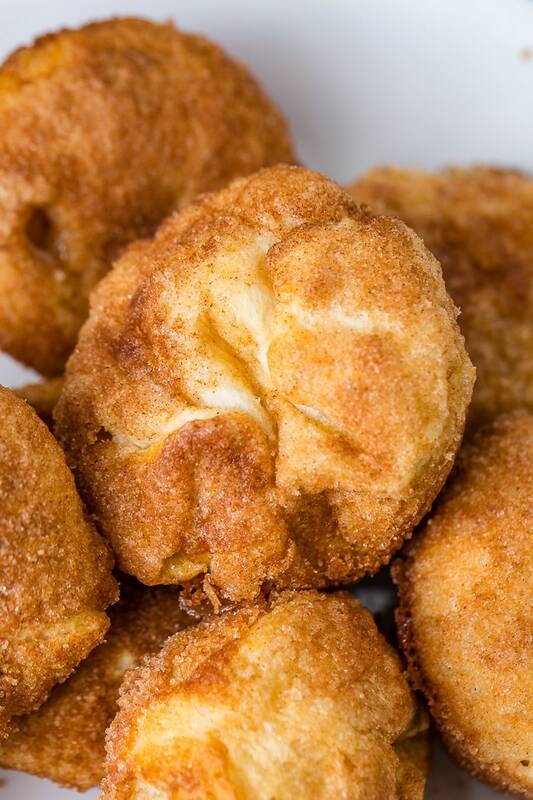 These hot, saucy apple empty tomb rolls are reminiscent of apple pie. In fact, if you made them with two crescent rolls and more filling it would totally look like mini hand pies. But listen, I’m getting too far off here, the point is, it’s like apple pie, so what would really be good is to serve them up with a cold, creamy scoop of vanilla ice cream! It’s probably one of the easiest desserts you’ll ever make and it all starts with the apples. You will need to microwave the apples for about a minutes so that they are beginning to turn tender. The bake time isn’t longing enough to soften them up, so the microwave is going to help out with that. Next, toss the apples with melted butter and mini marshmallows. As you know, large marshmallows are used in the old recipe, but they don’t fit in there with the apples. Don’t worry, it will still work out just the same with mini marshmallows. Add in cinnamon sugar and toss to coat. Separate each crescent roll and make sure you watch the video in how I press out the dough. Many will use the palm of their hand or pick up the dough and try to stretch it, but pressing it doesn’t evenly spread the dough and stretching it always makes the middle too thin and often rips the dough. You should keep your fingers close together and rapidly move them across the dough to press it out evenly. Fill with apple filling and fold up all of the sides and corners and seal it shut. Be very gently as you roll the dough in more melted butter and then in cinnamon sugar. Place in a greased muffin tin and then bake for only 10, maybe 12 minutes. Let cool for a minute and dig in! Alright, this is the most important step, the apples will have liquid in the bowl after microwaving, so let them sit and begin to cool and then drain off absolutely all of the liquid. If you leave all of that liquid in there the sauce won’t thicken up as well in the rolls and will make the dough more wet and tricky to pinch shut. It’s not life or death, but it’s an easy way to keep things perfect. 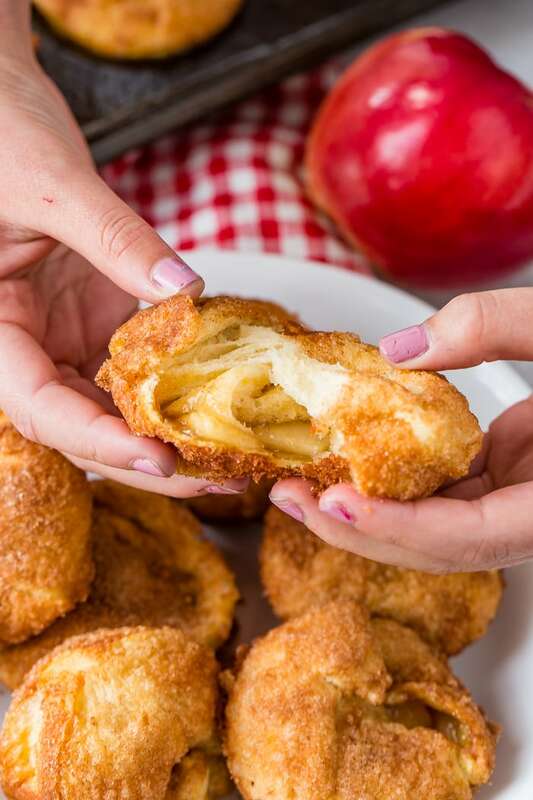 You can actually make these apple resurrection with a few different dough recipes. Packaged Biscuits- Grands or other brands work great but will give a different flavor and texture. Rhodes Rolls- We love using Rhodes or other frozen roll dough, however make sure you’ve got time to defrost the dough before starting and let them rise a little once you fill the dough. We’ve learned that not all crescent roll dough works correctly. Original is what’s truly best for this recipe. The butter flake ones are a little too buttery that it distracts from the apples and some of the others bake up with flakes that make the apples hard to stay in. The most important thing isn’t as much about the kind you buy, but about their temperature. Keep the dough cold until you’re ready to use it and then make sure you press it out on a silpat, a silicone mat so it doesn’t stick. Our favorite is a Honey Crisp or combination of Honey Crisp and Granny Smith, but here are all of the apples you could use. Our original post on Empty Tomb Rolls, or Resurrection Rolls if you prefer, is fully explained in our post. If you aren’t looking to tell the story, that’s ok too because lucky you, even without the story these turn out absolutely drool worthy! 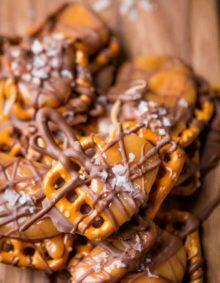 It’s not very often that we recommend what you’ll need for a recipe, but seriously, don’t leave this page without these items that will make your life easier, like by a lot. Apple Peeler, Corer and Slicer– It’s only $20 and more than worth every penny. Silpat Mats– That crescent roll dough is a real beast and will stick to everything, a silpat is a must! USA Muffin Tin– This muffin pan is light versus dark metal and those crescent rolls brown incredibly fast, so it’s best to use a pan that won’t make that happen even faster. On top of that, it has ridges on top so any caramel overflow is easier to clean off. 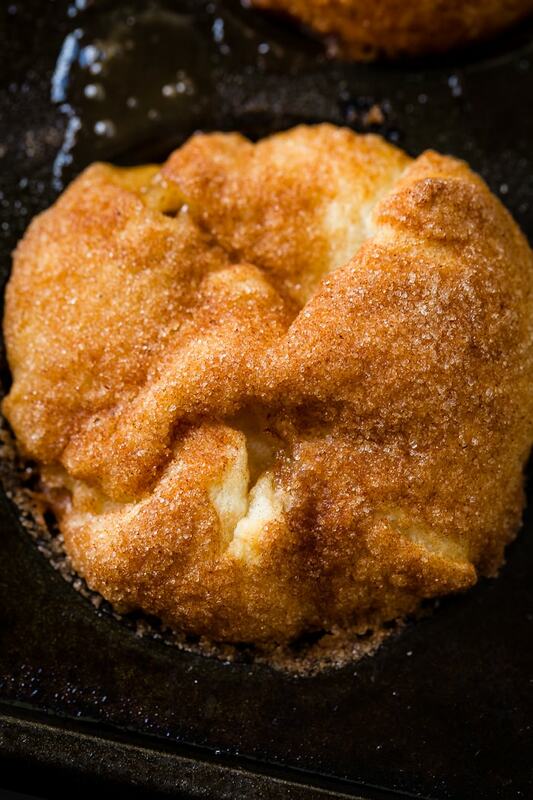 Or if you would like another sweet indulgent breakfast option, try this monkey bread! A soft, buttery, flaky roll stuffed full of chopped up apples in an incredible caramel sauce. But what's the secret to Apple Empty Tomb Rolls? Peel, core and slice the apple, preferably using this peeler. Cut the apple slices into 1" chunks and place in a microwave safe bowl. Microwave the apples for 1 to 1 1/2 minutes or until barely tender. Let cool while you melt the butter. Drain out all liquid from the apples. Add the marshmallows and gently stir to combine. Place remaining cinnamon sugar in a bowl. Press out one triangle of crescent roll dough on the silpat using the method described in the post. 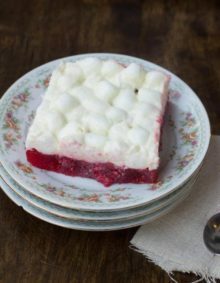 Place a spoonful of the filling in the center and carefully fold up every corner and side and pinch shut on top, careful to not rip the bottom. 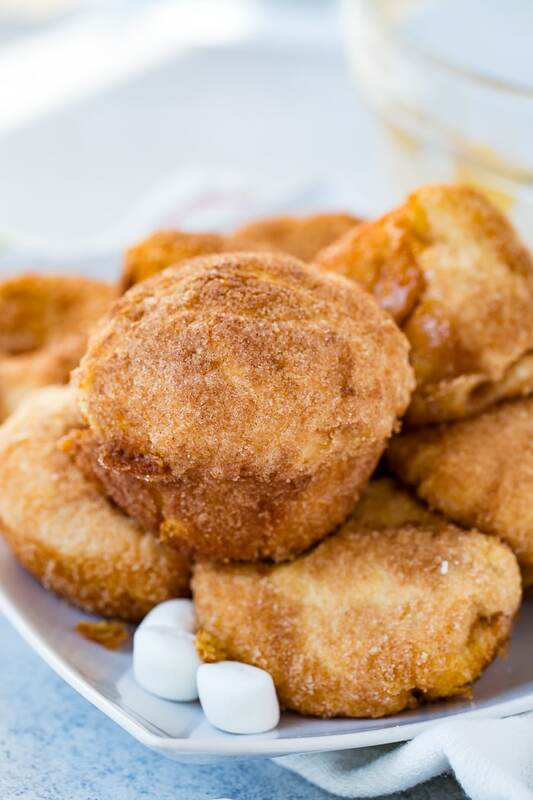 Roll the dough in the remaining butter and then cinnamon sugar and place in the greased muffin tin. 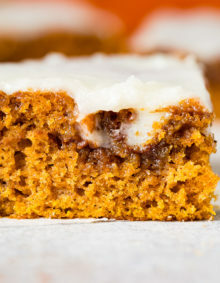 You may want to add more cinnamon sugar or marshmallows based on taste. Feel free to do so. Looks delicious! One of my favorite dishes! I’m sure you must have had loads of fun making this! They are so fun! And my kids love to help! Yay! It’s a win win! Enjoy!